We recognise the ongoing problem of discarded fishing nets in & around the wonderful Tunku Abdul Rahman Park which not only damage the delicate reefs but also continue to kill marine animals in a vicious cycle of reef life destruction. So whenever we find any discarded or illegal nets, we not only report them to the authorities but we also take action & remove them swiftly. This is a tricky job but our experienced local staff team are well versed in this practice so all of us are pleased to put in the work & help preserve the amazing reefs. The Downbelow company fully support these projects both with staff & logistics. 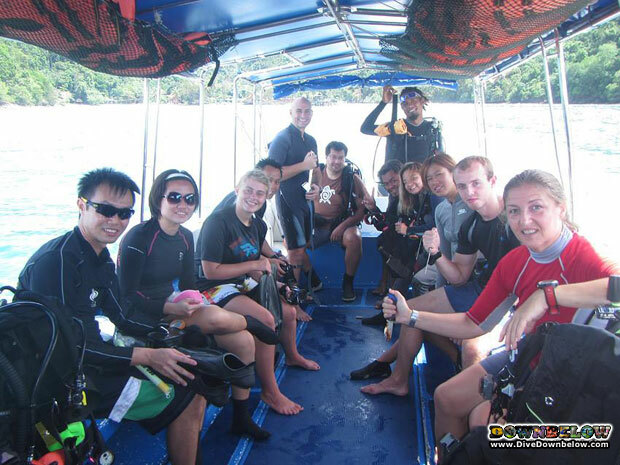 A big thanks to all our team (some even came in on their off day to assist) & also to our Go Pro interns who joined in & sacrificed their time as they put their PADI Divemaster and PADI Instructor Development Course (IDC) programs on hold. Good news is the net has now been safely removed thanks to everyone involved. Check out the images taken during the removal.